I hope my first Diversity Matters post was helpful for you! I'm back again with a post all about books that get us ready to go back to school. This post contains affiliate links for your shopping convenience. I earn a small commission each time someone makes a purchase through one of my links. 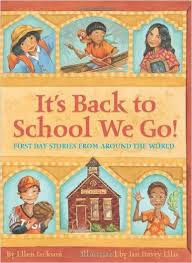 There are so many great books that are back to school favorites of many teachers! Do these books feature diverse characters? Does the plot in these books relate to the life experiences of my students? Will these books give my students new insights on other ways of life? You can use those questions whenever you are looking for an opportunity to integrate books on diversity into your classroom. Now, let's dig into some books! This is another wonderful book from Daniel Kirk. Keisha Ann is so excited for school. She's even more excited to show off all the things she can do! The book is a great example of a student of color doing day to day activities. She isn't fighting an injustice or trying to change the world, she's just a smart confident girl showing you what she can do. This book is super hard to find. They no longer sell it through Amazon, but you can find use copies. This book belongs in EVERY primary classroom library. OH I LOVE THIS BOOK! It's just such a positive story and makes for a great read aloud for the beginning of the year. I like to read this story when we are getting to know each other. The little girl talks about how she she likes herself no matter what she looks like. We talk about things we are good at and things we are working on. This book really helps students talk about themselves with great sentence starter examples for English Language Learners. 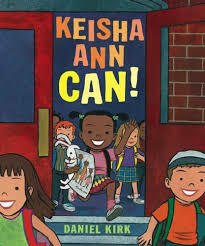 This is another book that features a student of color doing normal activities. Plus, she's adorable! 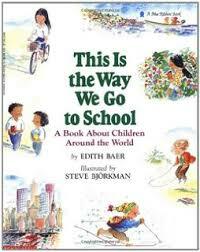 This is a great sing songy book that illustrates different ways children from all over the world go to school. The book doesn't go into great detail about each child and the way they go to school, but it does serve as a great conversation starter. After reading the book, students can talk about the ways they get to school and compare it to the ways children in the book get to school. Full disclosure: I have not read this book yet. As I was looking for new books on Amazon, this popped up in my suggested purchases. I was so happy to find it! It seems as if it digs a little deeper into how children get to school from different parts of the world. While This is the Way We Go to School was an introduction to the topic, I think this book might dig deeper and allow children to make bigger connections. I'll be sure to come back and rate it once I read it. 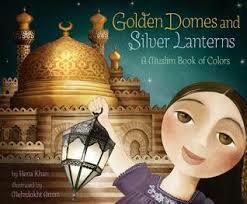 This book is full of so many beautiful illustrations, I just couldn't put it down when I saw it. We teach colors pretty early on in the school year and I always pull out my collection of Brown Bear, Brown Bear activities. But as I began to think about diversity, I made an attempt to include more books that still taught the skill, but featured children who represented the students in my classroom. 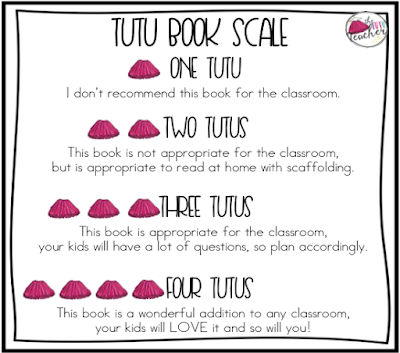 This is a great book to integrate during your color week(s). The references to Muslim religion is minimal. I suggest (like with any book), reading it for yourself, before integrating it into your classroom library. 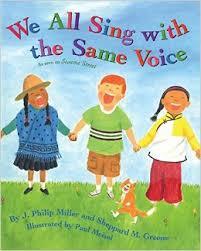 This book is the lyrics to the song, We All Sing with the Same Voice. The song originally became well known on Sesame Street. The message of this song, paired with the beautiful illustrations, would be an excellent way to establish the classroom community at the beginning of the school year. Even though we are all different, there is much about us that is the same, let's learn and grow together. I can't say how much I love this book. I love it so much. It reminded me that every child comes to our classroom with a set of valuable skills. Whether or not they have the language to express their abilities is secondary. The book highlights three different children who are newcomers. New to both the school and to the United States. 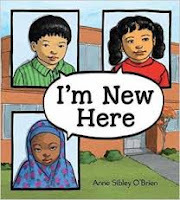 It would be a great story to read at the beginning of the year to remind students that even though we are new, we all have important things to share with each other. This is not a new title, but I added it to the Back to School list because I thought it could replace or support a book you typically read. We are all learning the names of the other students i n our class at the beginning of the year. In kindergarten, many of us are learning how to write our names for the first time. 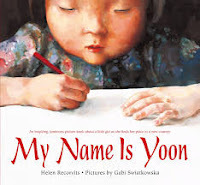 This is a great book to read when talking about names. It's also a great story to reinforce the idea that students learn at different rates and we are all trying our best to learn different skills. Again, another book that I just LOVE. Similar to My Name is Yoon, Thunder Boy Jr. is a story about the importance of identity and names. 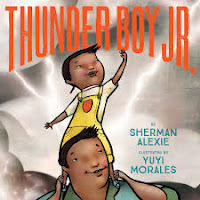 While Thunder Boy Jr. loves and looks up to his father, he wants a name of his own. The book is about a Native American family who seem to live in the Pacific Northwest and is illustrated beautifully. I would use this book to connect with our families. Children could ask their families why they were given their name and what it means. I don't know if it was obvious...but I really love these books. I think they would all be a wonderful addition to any classroom. Thank you for letting us know about these books! I knew of a few, but some are new to me. 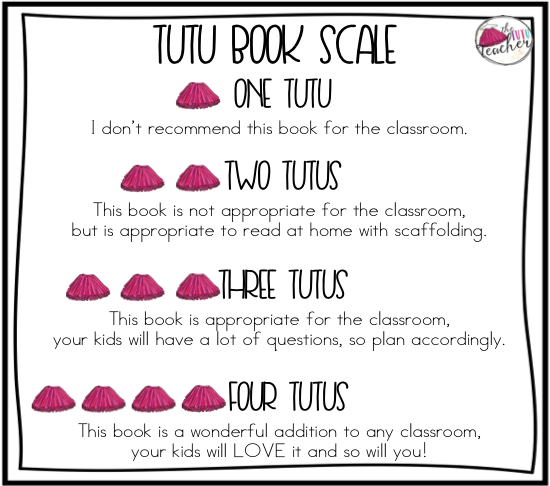 I can't wait to check them out and I know my students will love them! Thanks again! 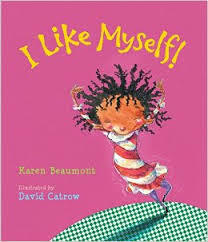 I love the book I Like Myself!! I've been using it for about 8 years and it's wonderful. Looking forward to adding some of the others on here to my library.